A family of ducks once stopped the traffic in Copenhagen centre. It was in the neighborhood of Frederiksberg in 1959, precisely during rush hour, that a family of ducks waddled into traffic, prompting a police man to immediately stop all cars and pedestrians so the ducks could cross unharmed. 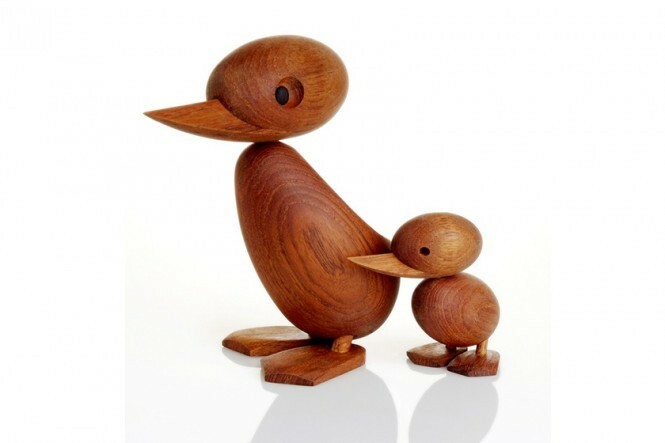 This charming moment made headlines and wooed the hearts of all Danes, specifically Hans Bølling who was so enamored by the story that he was inspired to create the Duck family. 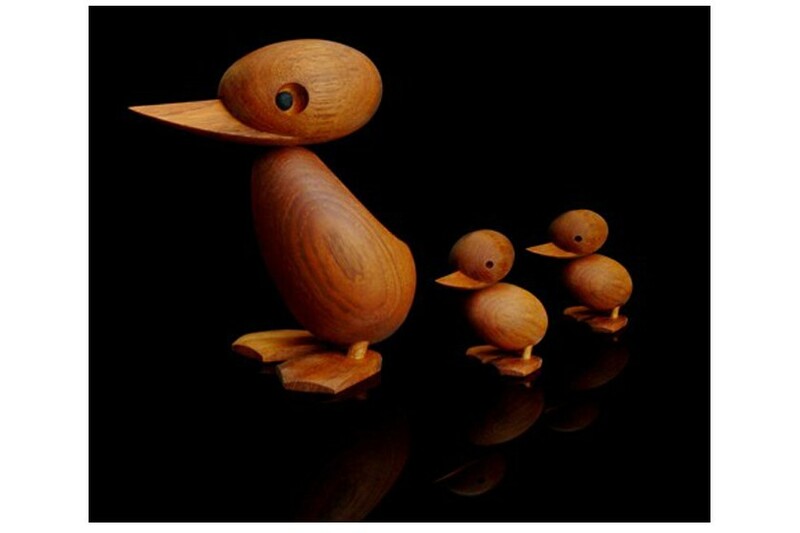 The Duck is 18cm whilst the duckling is 9cm tall.